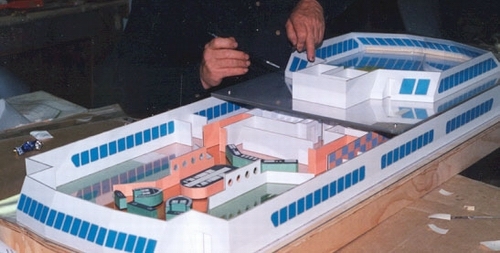 When planning the layout of something as complex as the interior of a Ferry, it helps to actually see a three dimensional, scaled down mock-up, of areas of concern. 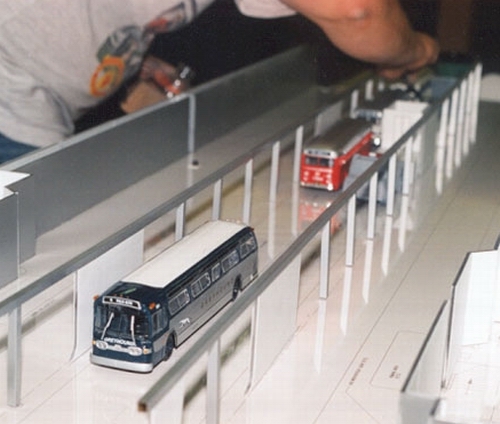 That was the purpose of these models, to actually see what the lounges and cafeteria areas, and the traffic lanes will look like, before getting into the actual construction. The models you see here were not intended to be viewed by the general public, or even look attractive, but were used extensively as tools at the early planning meetings with the designers and engineers. 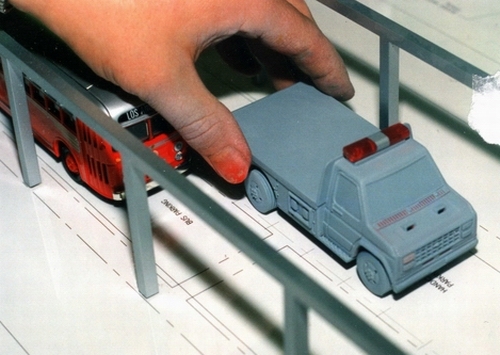 Its a lot cheaper to make structural changes to a plexiglas mock-up model, built at a scale of 1:48 (1/4" = 1 foot), if you detect a space problem, than wait until its constructed in steel or aluminum. Planning models play a big part in the design industry and BC Ferries, and many other companies we worked with, were firm believers in using them when ever they felt the need.